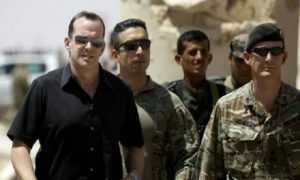 Probashbangla24 Desk : A top US official in the fight against so-called Islamic State group has quit over President Donald Trump’s decision to pull troops from Syria. Mr Trump described Mr McGurk’s resignation as a “nothing event”. Mr McGurk’s decision to quit follows the resignation of Defence Secretary Jim Mattis on Thursday.